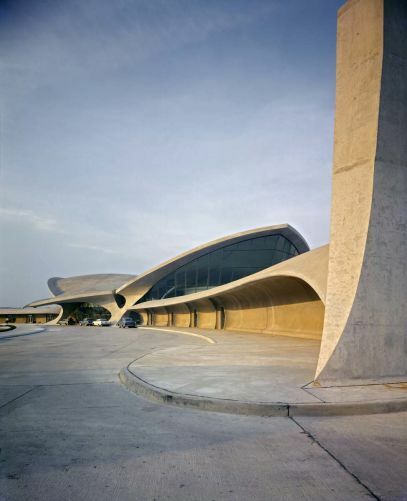 The TWA Terminal is an icon of the 1960s. 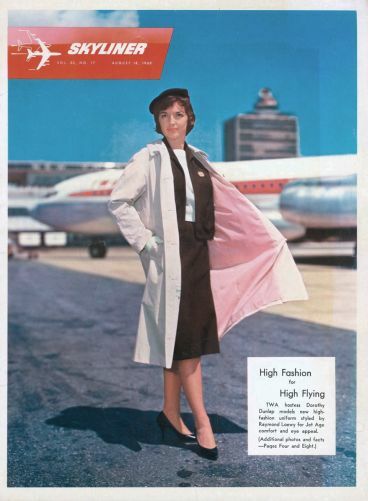 Flying was the future, flying was exciting and glamorous. 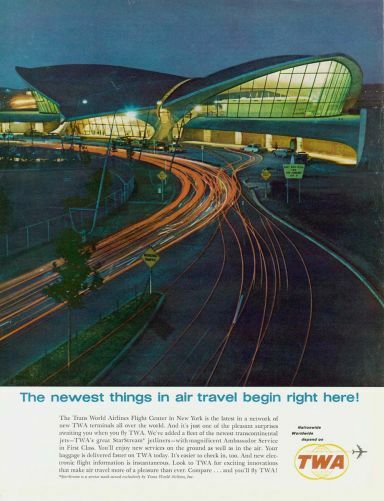 This is what architect Eero Saarinen wanted to express with his exclusive building for Trans World Airlines (TWA) at New York’s JFK airport. 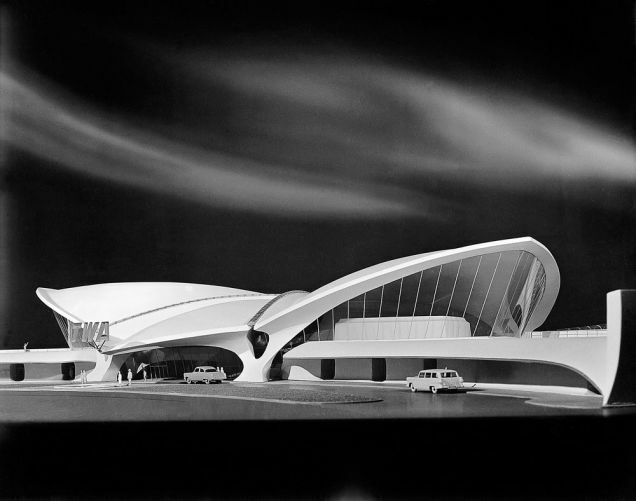 Today, the extraordinary design is still fascinating laymen and experts alike, even though the landmark terminal has been shut down and is awaiting a new use since 2001. 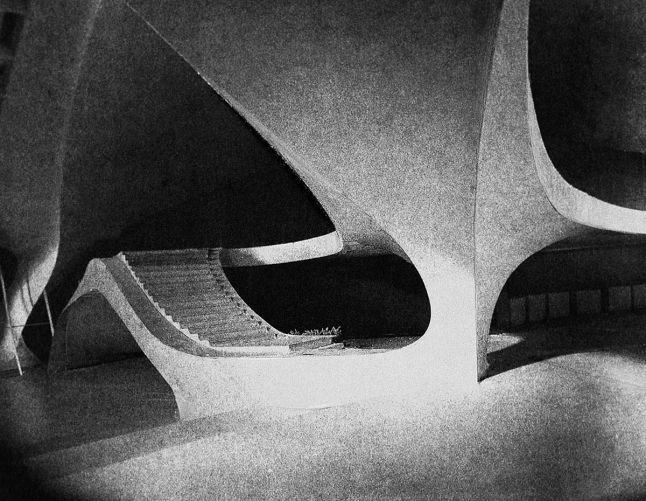 Though one of the best-known buildings, it is still missing a monograph. Furthermore, a critical assessment of its origin and building process has been entirely lacking too. 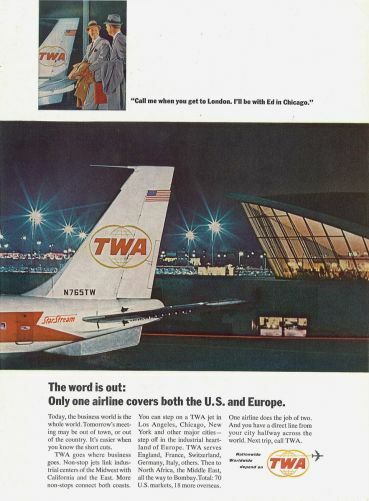 Even though from day one it was outdated and unable to process the growing number of passengers, it has been considered a Jet Age icon. 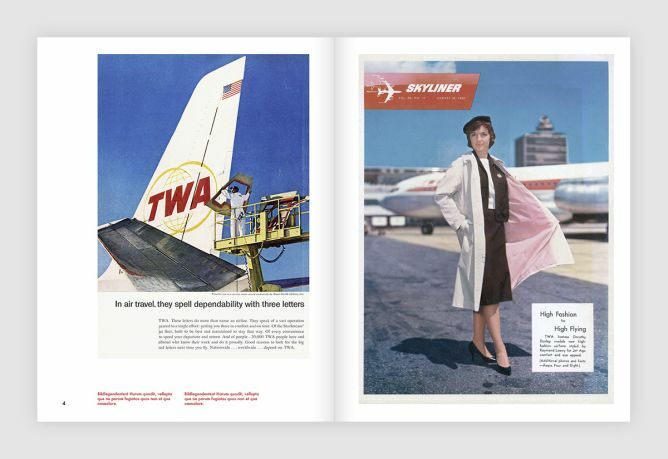 «Designing TWA» shatters this myth for the first time. Without this publication the research results of the dissertation gained at ETH Zurich will lie idle forever. 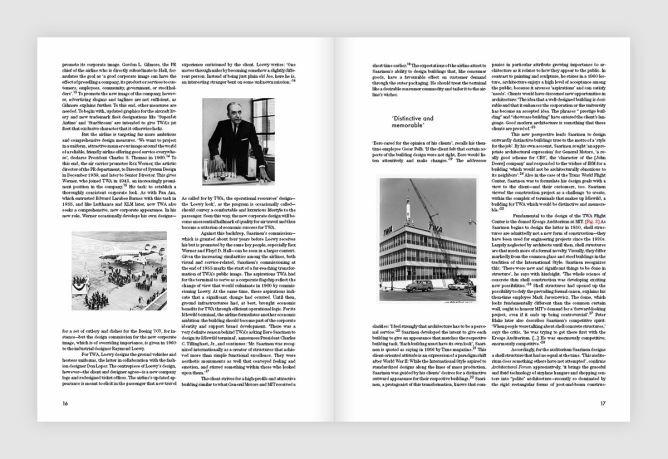 Concise, yet well-founded essays as well as 150 classy images make the book a must-have for architecture and design enthusiasts. For the first time it shows the terminal as it relates to the threefold themes of architecture, design and public relations. Kornel Ringli is the author and editor. The book design is provided by the multiple award-winning studio Elektrosmog. The book will contain almost 200 pages (approx. letter size) and will be published by Park Books, the international platform for architecture books of the renowned publishers Scheidegger & Spiess, in English and German in 2015. The total costs add up to USD 43,000. Image rights and scans, printing and fees for book design each make out about a fourth, the remainder of the costs account for translation and copyediting / proofreading. As is usual the case with such books the publisher cannot finance it. However, thanks to numerous requests to foundations and private individuals, I have collected USD 22,200. For another USD 6,300 the replies are still outstanding, USD 5,100 is the expected sales revenue. The remaining USD 9,400 I hope to collect thanks to you, so that the long-overdue publication on this building from a time when flying was still a stylish affair can finally be realized. So, come on board and make your contribution! This project ended successfully on 1/10/2014 05:00! You join us for the book presentation and are among the first ones to see the final book. You are mentioned as a supporter in the book. At the book presentation you belong to the first ones to hold the final book in your hands. 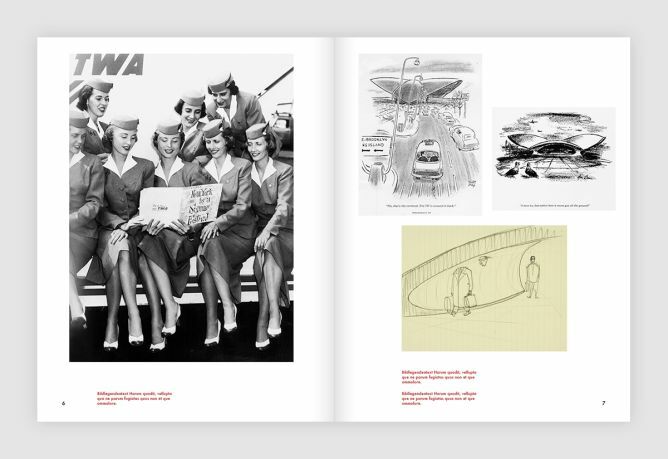 Not only do you receive a copy of «Designing TWA». 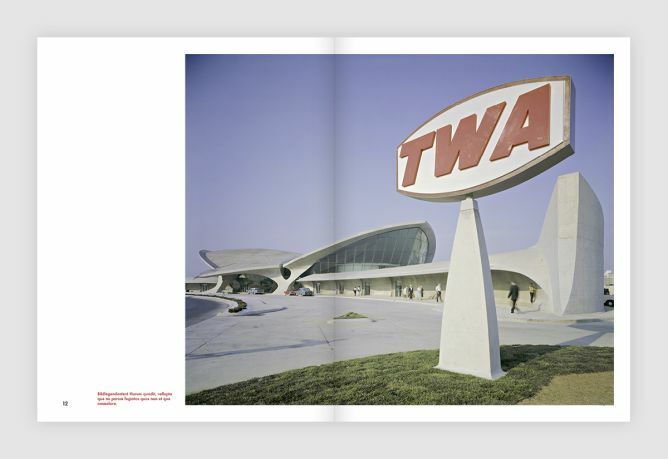 You will also the proud new owner of an exclusive set of 4 postcards of the terminal, edited by the book designer Elektrosmog. Moreover, you are mentioned as a supporter in the book. Of course you are cordially invited to the book presentation. 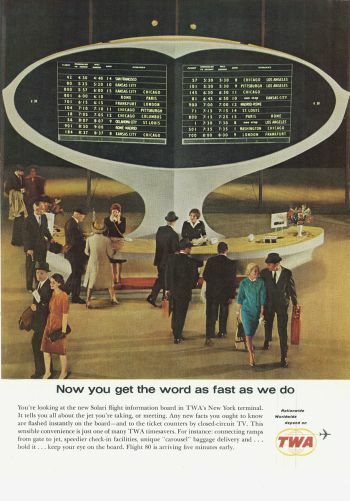 You secure my copy of the Time magazine dated July 2, 1956 with the cover story on architect Eero Saarinen. Moreover you can look forward to: +++ 1 signed copy of the book +++ 1 exclusive set of 4 postcards +++ Your name mentioned in the book +++ Invitation to the book presentation. 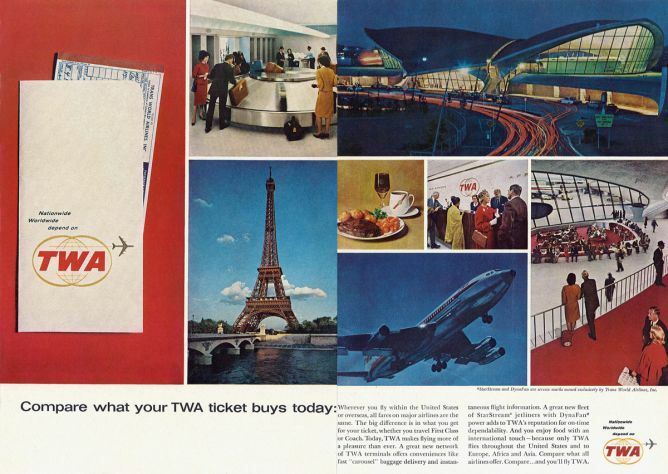 You secure my copy of the brochure «TWA Wings for the World» from 1965. Moreover you can look forward to: +++ 1 signed copy of the book +++ 1 exclusive set of 4 postcards +++ Your name mentioned in the book +++ Invitation to the book presentation. You secure my rare vintage pin of the grand terminal opening ceremony on May 28, 1962. Moreover you can look forward to: +++ 1 signed copy of the book +++ 1 exclusive set of 4 postcards +++ Your name mentioned in the book +++ Invitation to the book presentation. 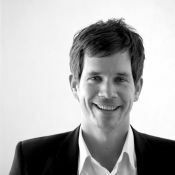 Kornel Ringli (born 1972) has graduated as architect from ETH Zurich. 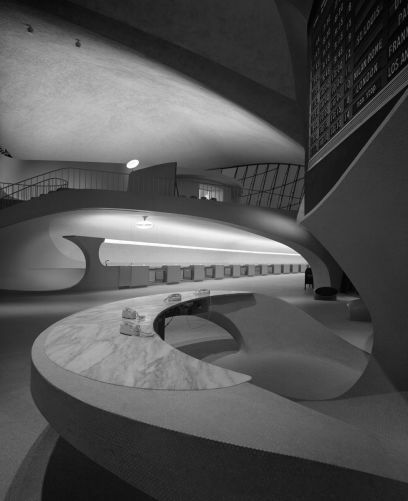 He earned his doctorate under Prof. Dr. Laurent Stalder with a dissertation on Eero Saarinen’s TWA Terminal from the same university in 2012. 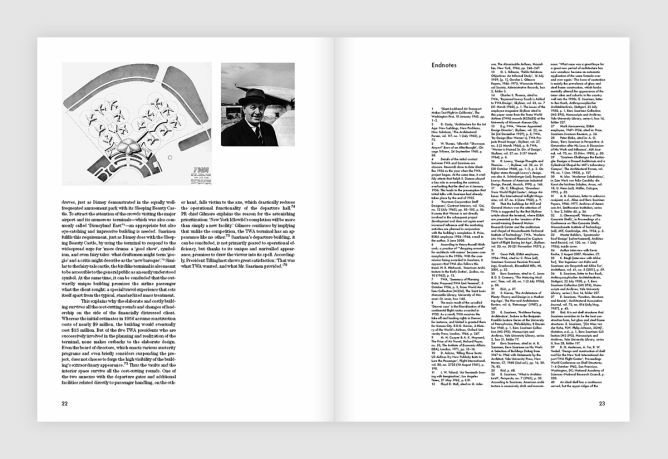 Ringli works on the publication of «Designing TWA» during his leisure time without compensation. He regularly publishes articles on specialized topics.